Join Sounders FC and Volunteer to be a Fan in the Stands! As a professional sports partner of the 2018 Special Olympics USA Games, Sounders FC is recruiting 1,000 volunteers to cheer on Special Olympics soccer athletes. We are encouraging Sounders FC players, staff, fans, alumni, academy teams, youth club organizations and community partners to participate. Fans in the Stands is a program designed to promote unity and to encourage students, friends, and families to get groups together to make posters, banners for Special Olympics athletes competing in the 2018 USA Games! No volunteer training sessions are required. This is also a great way for youth to earn community service hours! 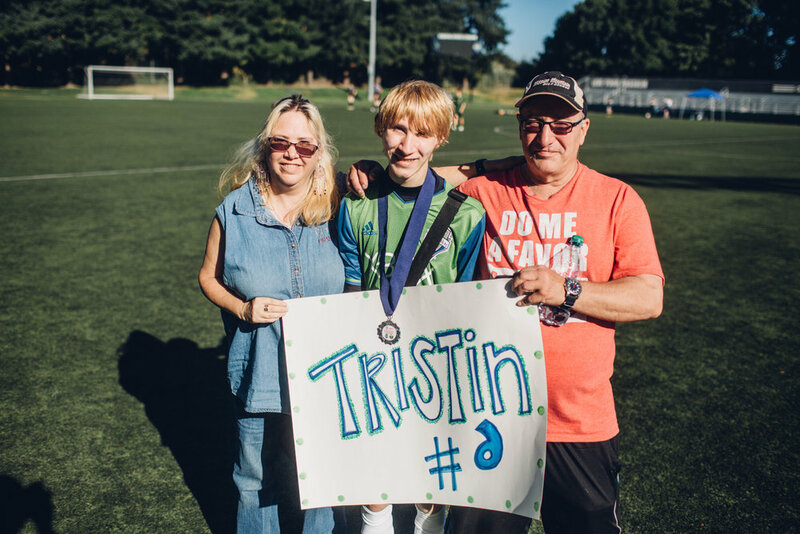 One of the most tangible ways to support Special Olympics athletes is to be a Fan In The Stands by attending one, or better yet, all of the competitions and cheering athletes on with Sounders FC alumni, players and media personalities. Not every athlete has friends or a family cheering them on during competitions, so imagine the feeling they get when there is suddenly a crowd of supporters behind them. Our goal is to have three fans to cheer on each soccer athlete. It’s a huge accomplishment for these athletes to make it to the 2018 Special Olympics USA Games and we want to show them that Seattle has the best soccer fans in the country. Please register below! Use code SOUNDERSFC2018. Feel free to “opt out” of volunteer training as Sounders FC fans know how to cheer and chant at soccer matches! Please note that Sounders FC ambassadors (players/alumni/representatives) schedules are subject to change. Please check back closer to the 2018 Special Olympics USA Games for the most updated schedule. Sounders FC ambassadors will be onsite during the indicated timeframe for at least an hour.